At an earlier Trail Mixer - the St. Marks National Wildlife Refuge Trail Mixer #4. 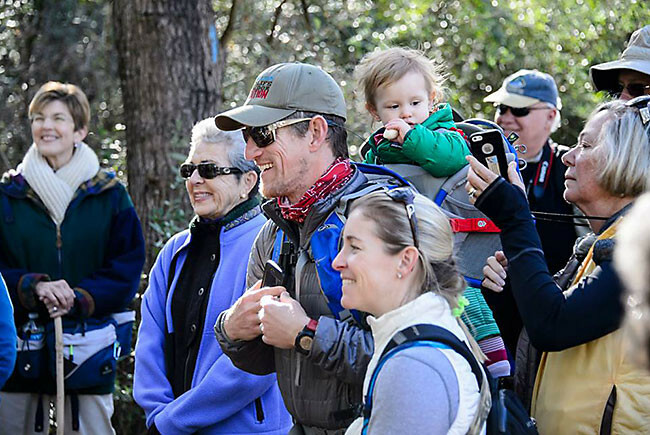 In the center wearing a red bandana is Carlton Ward Jr.
At the St. Marks National Wildlife Refuge Trail Mixer #4. 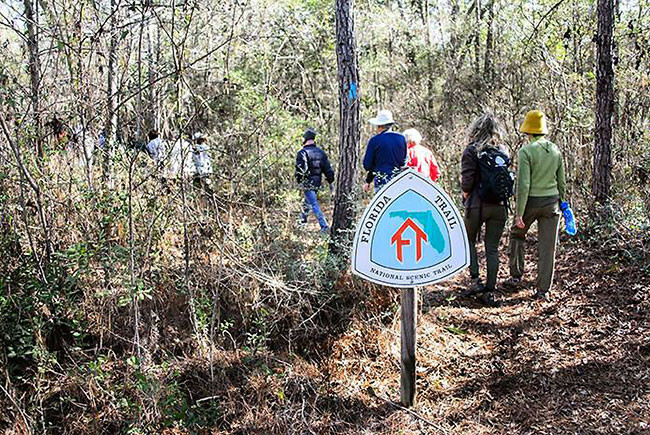 Take a hike through the Ochlockonee River State Park with the Florida Wildlife Corridor Expedition. You're invited to take a hike through the Ochlockonee River State Park with the Florida Wildlife Corridor Expedition. This hike, the Expedition's "Trail Mixer #5," will span 1.5 miles through a beautiful longleaf pine habitat. Ochlockonee River State Park is 4 miles south of Sopchoppy on U.S. 319. Scroll down for more details, including a map to the park and a link to register. 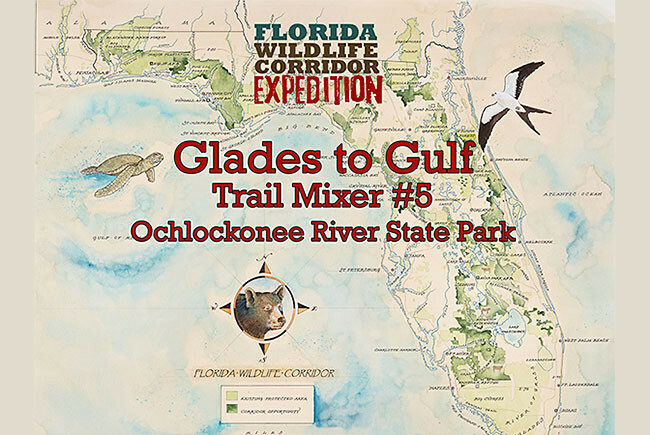 Join the Florida Wildlife Corridor Expedition Team for a 1.5 mile loop hike at the Ochlockonee River State Park! We'll traverse through a beautiful longlife pine habitat and learn more about this threatened species from the park rangers. This event is being sponsored by our friends at the Office of Greenways and Trails with the Florida Department of Environmental Protection.